How do you plan an epic Icelandic road trip when you can barely remember the town names (let alone pronounce them)? That was the problem I faced when planning our honeymoon in Iceland. Who would’ve thought 5 years later we’d be living there! Stop looking for answers via Google searches and grab the latest version of this ultimate travel guide instead. This is NOT your average planning guidebook — it’s in-depth, practical and user-friendly. From the handy Interactive Map (now with twice as many pins!) to the checklists and resources, this guide is designed to take the stress out of planning your trip. Jam-packed with the type of info only a local would know (that’s me! ), this eBook will help you plan your unforgettable Iceland trip from start to finish. From deciding what time of year to visit and what to pack to mapping out your itinerary of must-see places, this guidebook is your go-to resource. This 129-page ebook is a digital download. You’ll receive an email containing the electronic file in PDF format (which you can store on your phone, tablet, computer or print out). Easy to print out or download to your phone or tablet to use on your trip! You’ll receive a PDF file of this book, delivered straight to your email. From there you will be able to print it or download it to your computer, tablet, or phone to take it with you on the go! Map: To access the interactive map, you will need to download Google Maps. Instructions for accessing the map will be included in the book. This is an information product only. Prefer a custom itinerary designed to suit you? Click here to learn more here! The designs and images included in this eBook may not be copied or shared in whole or in part. All photos included are my own. Excellent resource. Well worth the money. The google map alone was worth the price. Jennie is the ultimate travel guide. This will be our second trip to Iceland. Only regret is not having found Iceland With A View before our first trip. If you are going to Iceland buy her class, guides, everything she has to offer. Iceland is very expensive, spend a few dollars on planning to help make your trip amazing. Yep – i will pile on with the others and say how AWESOME this e-book was for our recent trip to Iceland! I won’t go into great detail because so many others have…but i will tell you what this guide meant to me. I am the type that loves to research a trip, figure out all the cool things to see, and set up an itinerary as a trip guide. However, Iceland is a tough trip to plan for because there is so much to see, in a short amount of time. Jeannie’s e-book was great for the multitude of info provided (packing lists, gas station tips, general travel tips, etc.) and i didn’t realize how useful it really was until we were there. Having read her info took some of the stress of international travel away, which was great. However, i think the biggest benefit was her interactive Google Map. I used it every day, all day, as we navigated our trip around the island. It was extremely useful since we had a wifi hotspot with our Blue Car rental, and i had her map open all day long. Her support made the trip much less stressful for me (the driver, navigator, and daily planner) and i really appreciate that. It really was the best tool to have for a trip to Iceland. I can’t stress that enough and it was TOTALLY WORTH the price. p.s. Don’t speed in Iceland – the fines are BRUTAL! Where do I even begin? This book was A-MAZING. Jeannie is also a very pleasant and helpful person. We moved our trip ahead by a year BECAUSE of all of Jeannie’s planning tips, videos, and Ring Road Book. The book is full of great tips and ideas. There were tons of great recommendations on restaurants, out door items, tours, and more. The set ups based on region and the Google Map overlay were great. As we drove on around on our trip we were able to use the Google Map guide to find things to do and places to eat. The layouts on the map and the book in terms of GPS were perfect and worked very well. If you have not yet bought this book please do yourself a favor and do so. If you don’t…you will not have the best trip ever. I cannot wait to return to Iceland and will have my eBook and Ring Road guide ready to go. They were two of the best things we had to improve the quality of our trip. I love😍this e book and the map! We are planning our trip to Iceland for September, and these tools are a great help. I really enjoy the hidden gems that we didn’t know about. Also, very glad for the notations for bathrooms, Gas stations, and grocery stores since we’re renting a campervan, this will all come in handy. The only thing I wish for the ebook itself is that I think it would be good if you could go straight from table of contents to the page you want. But a very great, obviously well researched guide. Jeanie has put together the PERFECT eBook on the Ring Road – now I can’t wait for the Snaefellsnes book! We will be there in June for 2 weeks PAINTING Plein Air – Outdoors in all that beauty. Now we won’t miss the seals, horses hot springs, mineral springs, views and sites. The Ring Road book even has a nice section on Snaefellsnes that lets me know the ALL Snaefellsnes book will be awesome! Every week Jeanie’s cheerful, detailed and FUN emails pop into my inbox and make me so HAPPY I am finally going to PAINT IN ICELAND!!! AMAZING BOOK! My partner and I are leaving for Iceland in about a month – I purchased this book when it was version two and then received version three about a week later. Both versions are AMAZING! You can tell that Jeannie really put her heart into this book – I am mighty grateful to Jeannie for all the help she has given me in my planning for Iceland. There were so many things that I had questions about that I could not find answers to online – but when this book came out all of my questions were answered! Thank you so much! I greatly appreciate all the work she put in to helping us plan our trips! I already planned most of my trip to Iceland when I got the eBook and wasn’t sure if it would be worth it. But I can tell you, it is amazing! Especially when we were in Iceland we checked the google maps all the time to see if there is something on our way that we missed or to get some additional information on how to get to places (like hidden waterfalls, hot springs etc.). Such a great tool that is definitely worth the money!! I used information from the guide and the Google map layer every day of my 7 day winter trip (returned Tuesday). It was great to open the map, pick a destination and let google maps provide turn by turn directions. I’d use it for recommended dinning or waterfalls near me. It really took the confusion out of traveling while still allowing spontaneous exploring. So much great advice, the money saving tips paid for the guide many times over. Just the duty free and grocery store pointer saved 3x the cost of the book. I would suggest that a ‘winter’ version of the google map would be very helpful for us winter travelers; lots of the attractions recommended were closed for the winter. Beware that Google maps in general are not winter aware in general. Some shortest routes that Google recommended were closed for the winter. That’s nothing to do with the eBook, but just an FYI. Brilliant!! Everything a traveler to Iceland could possibly want to know is here. The map has anything and everything you could want to find on it (gas stations, washrooms, hotels, restaurants, accommodations, attractions, etc etc.) It is very easy to understand, and very well put together. The book has everything you could probably ask or want to know; from road signs, to food, to Icelandic phrases, photography, driving advice, etc. I can’t even express how much this would help new Icelandic travellers. I will be recommending this to anyone who asks me for advice! Absolutely brilliant. It’ll be the best $20 investment for your trip. As someone who hasn’t had the opportunity to travel much the thought of planning a road trip in another country was very overwhelming. Jeannie’s amazing resources and this ebook in particular have made me feel so much more confident in planning for myself and I’m so excited for my June trip now! The maps are incredible and little tips that you wouldn’t even think of like how to use the petrol pumps make all the difference. Thanks Jeannie! I hope you know how much of a difference all your hard work has made to anxious travellers like me! We just had an opportunity to read and review the latest update to the Ring Road Guide and can tell you that it is outstanding. 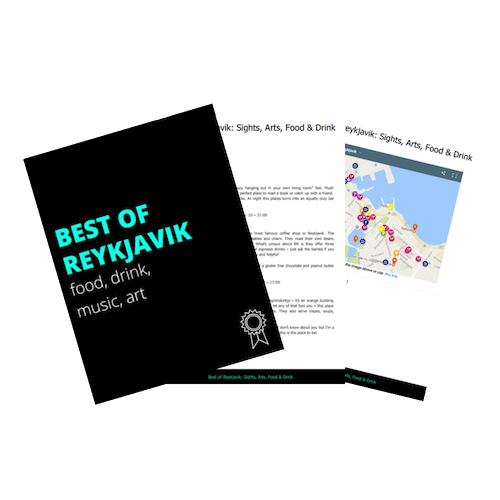 It includes everything that a traveler to Iceland needs to know plus a great deal more regarding restaurants, hotels, road signs, photo tips and other related important information. Jeannie has done a phenomenal job incorporating the recommendations from members of the Iceland Travel Group, along with her own experiences, and has put together a very valuable document. I have left a review previously but I had to update it. I just downloaded version 3 of the Ring Road Guide and it is AMAZING!!!! Jeanie you are incredible putting this together. I have read travel guides for many years when going on vacation and they all drone on for pages and pages with useless info. This is around 130 pages of every single bit of information you would ever need when visiting Iceland. It is perfect. I can’t thank Jeannie enough for putting this together. Other travel guide need to follow your lead. This is an absolute MUST HAVE if you are visiting Iceland. Thank you Jeannie for putting in what looks like months and months of hard work. Well laid out and tons of information all visitors would need. I’ve been planning a trip to Iceland for over a year. I just started using Jeannie’s map. I wish I would have had this from the beginning! It really cuts to the chase and tells you what you need to know in an easy, all in one place way. It will be wonderful to have this on my phone too as an hour to hour guide when I actually get to Iceland. Thank you! I’m still planning for my return to Iceland in June this year, and I have found the Ring Road Guide and the new map extremely helpful. I had roughed out itineraries for our days there, but the guide, and especially the map, have more than paid off the $20 investment! I’ve added so many new places to my daily itineraries that we otherwise would have missed. Thank you, Jeannie! Now to find a tripod small and light enough to pack in my suitcase… Also thinking of buying a GoPro for the wet waterfall videos, and trying to sort through what to bring for the D800…including lenses to shoot everything from epic landscapes to long range shots of puffins on the cliffs. Yes, planning for a trip to Iceland as a photographer leads one to think of a lot of “now must have” equipment! I went to Iceland on a semi-business trip in 2010, but only had 2 days to explore. We’ll have a week this time, so Jeannie’s info is helping us plan to the max! What a fantastic resource. Jeannie has put together a great map (only to get even better in the next couple days) that hits all the must see and hidden gems. I bought this mostly as I figured I already received more then $20 value from her free content. This guide also gave me tips that have changed my complete vacation. This includes certain clothing I had not thought to bring as well as camera gear which I had no intention of buying. Thank to her guide I now realize that having some filters and a tripod will greatly improve my shots. I didn’t want to bring a tripod but I found a very small tripod-ish piece of gear that will work great. I wouldn’t have even looked to get one unless I bought this guide. Her packing list is great and although I have made my own now, hers had many items that I would have forgotten to add. Our trip came up very quickly and on a whim. We didn’t have much time to plan so I purchased the Ring Road Self Guide Book which turned out to be an awesome foundation that we built everything else on. A great starting point for quick must have information. Jeannie’s YouTube Channel, Instagram and Facebook groups proved to be so valuable as well. As a fellow midwesterner from the States, I appreciated her down to earth approach. Will definitely use more in the very near future as I want to go back already and I’ve only been home for a week! What a blessing Jeannie has been in helping us plan our itinerary for our recent Ring Road tour of Iceland. She is always spot-on with her advice and knowledge of the hidden treasures along the Ring Road. We were so excited about returning to Iceland after 45 years. We lived in Keflavik in the early 1970s while I was stationed at the US Naval Station Keflavik. With Jeannie’s guidance we planned, booked, and had the vacation of a life time! Thanks again Jeannie for your guidance! I highly recommend this book! Jeannie tips were so valuable! You’ll never regret purchasing this product if you’re planning a trip to Iceland. The tips about how to pack for “summer”, road signs, even small things like “take a travel mug with you” really made the diference in my experience in Iceland. Thank you, Jeannie! A great general overview and guide to Iceland. A good tool to start your Iceland trip planning. Well worth it. My husband and I enjoyed reading through it together and getting excited for our upcoming honeymoon there. I’m sure we will be using the maps. Thanks Jeannie! An excellent resource! I bought it kind-of last minute, after watching (almost) all of Jeannie’s youtube videos. She has so much love and enthusiasm toward making your Iceland visit the best trip possible! I wish I’d bought the guide earlier and used the interactive map for planning–it would have saved me a lot of effort. For next time (hopefully)! I spent the best 10 days of the last years, and I owe everything to this book, practically my itinerary was based on the interactive map and Jeannie’s picks. Thanks a lot Jeannie for all your efforts to give us the best experience on Iceland. The book is very well organized and designed. I was agnozing over making a google maps for our up coming trip to Iceland, as I was having a hard time prioritizing sights ( there is so much to see and so little time). The google maps that Jeannie made are FANTASTIC!! I have been able to organize the days based on her rating system of the sights on the map. We are counting down the days till our trip. The Ring Road map is TOTALLY worth the price of the guide! Nothing was more helpful than this one tool in determining where sites were located, how far apart they were, and each had a brief description and photo so you could remember exactly what was there and whether you wanted to see it. Integrate it with Google Maps and you’re golden! The self-guide drive book is an invaluable resource in your Iceland trip planning. It puts all the information you need in one spot saving you tons of time researching things for yourself. I highly recommend this book! Jeannie is truely awesome for making this eBook! I learned so much information on each regions of Iceland. The coolest part was that there are so many local tips and things to know as far as websites for weather, northern lights, and how to stay safe while traveling Iceland. Totally worth buying this eBook! Thanks Jeannie! Love this book! The google maps is the most helpful. I also appreciated the lesser known Jeannie’s Gems! I can’t wait to use it on my trip to Iceland next year!! This is a perfect guide to Iceland, very structured and easy to follow. I compared it to other websites, as there are many useful ones, but I think this is the best by far. I hope the author will provide one for Ireland and other similar countries in the near future! Love this book! Lots of great information! The interactive maps are the best part. The foodie in me would like to see a little more on dining experience options. I purchased this resource to guide my planning for next summer. It is JAM-PACKED with helpful information. Things I have not found anywhere else, all in a concise, readable format. Different road signs, hours of sunlight for every month, wonderful packing lists, maps of where gas stations are and how to use the pumps at the gas stations! 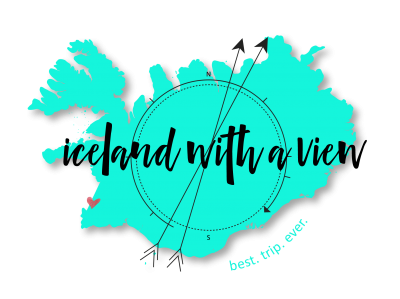 Along with these tips, itineraries for how many days you’ll be in Iceland, tips on food, accommodations, and transportation, and so much more! Absolutely worth the money, and you can bring this with you as a reference as you travel! Thank you, Jeannie! Loved it! It was incredibly helpful! Jeannie is the master at Iceland trip planning! Totally worth the money! Jeannie you are the best. I was going Back and forth over buying this book. I have done a ton of research in my own but never got quite the info I was looking for. I went for it yesterday and bought this book. Should have done this weeks ago. It would have saved me hours of digging for info. This book covers exactly what a traveler needs to know without endless pages of words that contribute nothing. Perfect guide. I would recommend this to everyone. Save time and get the information you need here. Follow Jeannie also as she supplies tons of information weekly. To Jeannie, thank you, to everyone else, buy this book. You won’t regret it. I purchased this guide for planning a year out. I have done a lot of research on my own before purchasing it, but there are a lot of practical tips that I have not found anywhere else that will definitely be useful when we travel the ring road. The interactive map is wonderful and hits on a lot of the places that I want to see but also off the beaten path sites that I am now adding to my list. A great purchase that I’m sure will be used a lot! Thank you, Jeannie! So… I have been researching and reading and researching and reading (yes I know I repeated myself) anything and everything I could find on Iceland, asked several questions on 4 different Facebook groups, been copying and pasting everything important into Word documents, created a PowerPoint of stops, started pinning websites, and you name it. I felt pretty darn good about all of my research. And then I ordered this guide. The interactive google map at the end alone is worth the $20. Needles to say, I will be re-evaluating some of my planning, and adding some sites to visit that never showed up in what I thought was thorough research. She has some real hidden gems on the map, but the biggest gem of all may be this guide! Thanks Jeannie! I’m a big researcher, so some info I admittedly knew from months of researching sites. Save yourself some time and just get the info in one, concise place. Additionally, the map downloads made my trip a million times easier to plan and were invaluable on the road. I used them about 90% of the time to find places to see, plan my day, plan weather detours, and to find campsites. Really worth the money and I appreciate the time Jeannie has dedicated to it. I recently bought this book and I have to say it’s the best $20 I have ever spent on travels! The Ring Road Iceland Itinerary really helped me a great deal. I had it open every day during my trip planning. The restaurants, places to stay, and sites to visit recommended by Jeannie are super helpful. I especially appreciate the Jeannie’s Gems. I wanted a slow-paced and relaxed road trip. Jeannie’s recommendations definitely helped a lot. After this guidebook, I have made up my mind that I should go to Iceland again next summer to visit the rest of the places recommended by Jeannie. Jeannie, you’re the best!! I’ve been slowly working away at making my own map of things we personally want to see but I might just use yours now instead!! The book is great, such helpful information. Its clear you’ve put a lot of time and effort in to this book, the maps and everything you do. Can’t wait for the West Fjords guide to come out!! Loved the interactive google map. It made researching places so much easier. Now when I go, all important info will be in the palm of my hand!! Definitely worth the price!! I’m a little bit of a nervous international traveler (I live in the US) and this helped me a lot, felt like I was getting insider information. It’s helped me prepare a lot with checklists, packing lists, what to do before traveling, driving rules, etc. We are going in early February and I feel like I’m ready to go now! I have also loved the interactive map! I no longer have to go between google maps and lists of sights to see where each place is. It’s saved me so much time. Great book. This set us up for a great adventure in Iceland. Self driving along the ring road is definitely the way to go and I look forward to getting to take more time and make a circuit of the island. Very practical and essential for travel planning. The map is fantastic. We just returned from a fantastic trip to Iceland (South coast and Snaefellsness) and could not have done it without Jeanie and her interactive guidebook. I spent 8 mos. planning, and would have lost my mind without her resources. We also used it multiple times a day to help guide us. The info in the book is very practical, and I love the ability to go back and forth between more detailed info and the interactive map. It is sooo much more useful and user-friendly than a typical guidebook! Since we like to get away from the mass of tourists, I especially love the hidden gems. Highlights were hidden waterfalls, hot springs, alternative approaches to popular spots, and lunch stops. There were many more, and many we couldn’t get to b/c we ran out of time. I would definitely recommend this book as your most important resource for planning your trip and enjoying Iceland while you’re there – an incredible value! Undoubtedly it was the best guide I’ve ever used when planning our holiday and during our trip around Iceland. Thanks a lot! And of course I recommend it to all travelers as there is all info you will need. The book is technically well prepared, I’ve used many times the map’s points of interest copying the address directly to my smartphone to use it as a GPS screen. The “must take” list is also not bad at all. The personal “best of” lists are interesting, the description is realised in detail and I like it. Good work and good value for the price payed. Fabulous, extremely practical travel aid. The interactive map was great for all the informative info that pops up when you touch the attraction, and it makes it easy to find things and to make sure you don’t miss anything by driving by something without good signage. We rented a wifi hotspot with our rental car and it was really great because we could carry it with us to places without wifi as well as using it in the car to run the map. For your next edition I might add more prominent warnings about sheep and driving. The only police car we saw on our 5-day trip was next to a rental car and a dead sheep on the Ring Road. Smack full of great tips and info you need if you’re contemplating driving the Ring Road. I feel like an idiot but it hadn’t occurred to me yet that the road signs would be wildly different until I saw it in the Jeannie’s guide. Packing list is brilliant (men and women’s lists)! Cant wait to start my trip and to put all these tips to good use. The ring road guide has been an invaluable tool for my planning of my Iceland trip in a month. It’s so wonderful to have everything all on hand.. The effort Jeannie has taken to put it all together is amazing! Can’t decide which is more helpful, all the information or the awesome interactive map. If you are planning a trip to Iceland this is a must have! This book has made our trip planning so much easier! Thanks Jeannie for all your research, looking forward to the future editions!! It was so easy to use! I used it everyday on my 8 day adventure! This book is amazing! The interactive google map was worth the price alone. It was extremely helpful to find hotels and local hot spots, and to map the distances between each place. I also found the list of what items to pack very helpful! I had no idea that you would need crampons in the winter to view all the waterfalls. Jeannie has lots of hints and tips throughout the book, it definitely gave me a starting point when I began planning my trip. Thanks, Jeannie! The interactive map was extremely useful to quickly navigate from place to place – Instead of trying to type in long names when having intermittent wifi. I recommend having this map on your phone with in-car wifi for easy traveling. The descriptions on the different stops were helpful too – especially to know how much time you should expect to spend in that stop. This was helpful for itinerary planning. Recommended food stops were also good – hope Jeannie can add more data and more food stops (preferably fast food stops). We had a great time in our 9 day ring road trip! The google map Jeannie put together for us was AMAZING! It was the ultimate travel guide that included the name, location, photos, helpful tips, and even a rating system of each site! We used the map to help guide us to all our destinations and helped us organize how much time to budget at each stop. We also loved being able to simply click on each location and use google maps offline to travel without using internet or data on our phones. I can’t imagine traveling without this helpful guide, it was a lifesaver!